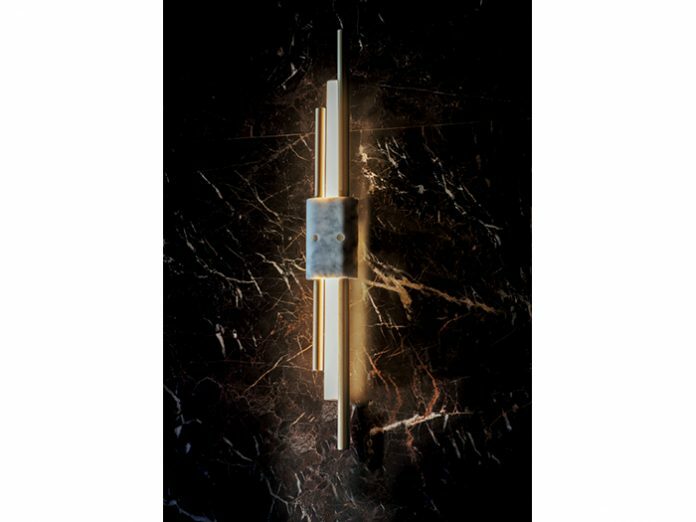 Tanto is characterised by its slim, minimal profile with the combination of two asymmetric brass rods and a central cylindrical opal lamp. Connected together by either Green Guatemala or White Carrera marble. Tanto appears like a work of sculpture, creating a stylish visual statement in the room. Available as either a small or large wall light, its effortlessly minimal design would work well in both classic and contemporary spaces.